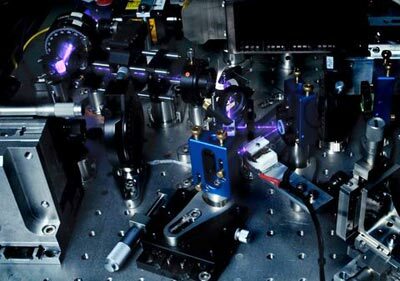 The third and final loophole in an important test of the quantum nature of the photon has been closed by an international team of physicists. The researchers have shut what is called the "fair sampling" loophole, which says that classical – rather than quantum – effects could be responsible for measured correlations between entangled pairs of photons. The photon is now the first system in which the violation of "Bell's inequality" has been unambiguously established. While few physicists will be surprised that all three loopholes have now been closed, doing so could be an important step towards developing failsafe quantum cryptography. What this means is that if Alice measures the polarization of a succession of photons, she obtains a random result. But while Bob's measurements also appear random, his results are correlated when compared on a photon-by-photon basis. In other words, when Alice's photon is vertically polarized, for example, Bob's is much more likely to have the same polarization. In 1964 the Northern Irish physicist John Bell famously calculated an upper limit on how strong these correlations could be if they were caused by classical physics alone – what has become known as Bell's inequality. Correlations stronger than this limit, he reasoned, could only occur if the photons were entangled as defined by quantum mechanics. But while many experiments have confirmed that Bell's inequality is indeed violated, these experiments – which use photon, ions and other entangled particles – are plagued by loopholes. A sceptic could therefore argue that the violation occurs because of some unforeseen effect of classical physics, rather than being a quantum effect. There are three main loopholes. The first is the "locality loophole", whereby information about the measurements can somehow be exchanged between Alice and Bob's detectors. The second is the "freedom-of-choice" loophole, whereby the source of the entangled particles can somehow communicate classically with the detectors and affect how the measurements are made. As for the third major challenge to Bell's violation – the so-called "fair-sampling" loophole – it argues that a classical explanation is possible if the experiment detects only some of the photon pairs, rather than measuring every one of them. If this process somehow favoured correlated pairs over uncorrelated pairs, an apparent violation would be measured. 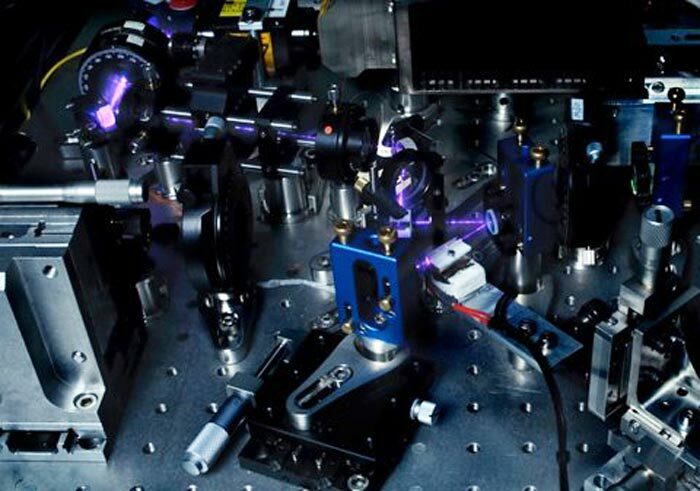 This loophole was closed over a decade ago for entangled pairs of ions, but it is extremely difficult to detect each and every photon in an experiment. Fortunately, about 20 years ago Philippe Eberhard of the Lawrence Berkeley Laboratory in the US created a new type of inequality that takes undetected events into account. This interpretation requires that only 67% of all entangled photons be measured. But even to achieve this lower threshold, the team had to make significant improvements to the equipment used to create and detect entangled photons. The pairs were made using "spontaneous parametric down-conversion", whereby a higher energy photon is fired into a special crystal to produce a pair of lower-energy polarization-entangled photons. The team carried out a series of experiments each lasting about five minutes and involving about 24 million entangled pairs, which were captured with a detection rate of 75%. The data revealed a staggering 69? violation of Eberhard's inequality – effectively shutting the door on the fair-sampling loophole.